His new book is Beethoven in America. In addition to music, my two passions are history and photography. I am currently reading Paul Johnson’s A History of the American People. It’s a massive book, 1130 pages, physically fatter than any paperback should be. 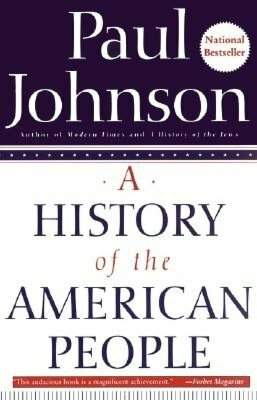 Johnson writes in an engaging style, and it is fascinating to read a Britisher’s take on American history. I have worked my way up to the Civil War, and Johnson is particularly adept at providing striking vignettes of important individuals. Most interesting was his depiction of Jefferson Davis, who viewed slavery from a moral, idealistic perspective, who practiced what he preached, but simply could not see the evils of the institution. Other vivid portraits are of Henry Clay and not surprisingly Andrew Jackson. 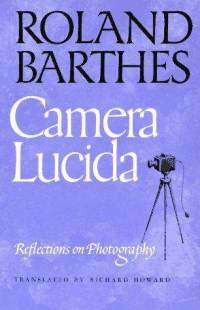 I recently finished Roland Barthes' last book Camera Lucida: Reflections on Photography. Like the Madeline that ignited Proust, an old photograph of Barthes’ mother takes him on a journey of both loss (his mother had recently died) and the nature of photography itself. His ruminations are highly personal, almost quirky, as are his readings of photographs. He sees the medium of photography itself closely related to death. The terms “studium” and “punctum” are especially important: “studium” refers to the conventional qualities that make a photograph appealing or excellent – composition, content, tonal values. Punctum is more personal, that detail that makes a photograph alive, that grabs the viewer and stimulates interest. For Barthes the punctum could be strange indeed: in a Lewis Hine Photograph of “Idiot Children in an Institution” Barthes’ punctums are the collar on a boy and a bandage on a girl’s finger, or in the “James Van der Zee Family Portrait” he notices the strapped pumps on the mother. His punctums may not be my punctums, but Barthes gets close I believe to what really impacts us in a photograph beyond issues of form and technical mastery. 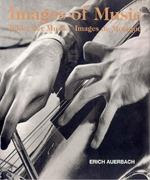 A very different photographic book is Images of Music by Eric Auerbach. Unlike the Barthes, a small thin paperback, this is a large hardback whose main appeal are the many photographs. The text, in three languages, English, German, and French, gives biographical and personal information about the musicians. Mostly black and whites taken in the 60s and 70s, they show conductors and soloists at work, in rehearsal, concerts and teaching. The images are candid and intimate, reminiscent of Henri Cartier Bresson. They present the many moods of artists engrossed in act of music making so vividly I feel and hear their music as I look at the photographs. My Book, The Movie: Beethoven in America.